C&IT picked 'five agencies to watch' at the start of the year. We catch up with all of them to find out how business went in 2015. Last year, C&IT picked five agencies to look out for in 2015, each showing impressive growth and an ability to push the creative boundaries. Here, we catch up with each of those five agencies to see if their predictions for 2015 rang true, and find out what they are aiming for in 2016. Fay Sharpe, managing director, said the year had been a great success and that the focus now was on rewarding their staff. "2014/2015’s positive commercial climate at Zibrant has enabled a six-figure bonus to be shared across the company." She added that 'investment' had been high on the agenda for the past 12 months and would remain so. "Every year we look to build for the future and have already invested in our product and back-of-house operations such as our IT infrastructure. The last year of working with Nigel has been one of our best yet, and in 2015/2016 we want to share our success with the people who make it happen." Caroline Lumgair-Georges, managing director, said: "We have had an incredible year in 2015. We achieved the best financial results in 13 years having more than doubled our turnover - an increase of 110% year-on-year. "Our key strengths continue to be our strong relationships, both with our clients and our hotel/venue partners. We take a holistic and innovative approach with our client accounts, working closely to achieve successful partnerships with relevant parties. "Our aim is to continue to deliver an excellent service to our loyal portfolio of corporate clients - one of our largest accounts was our very first account 13 years ago. "Both our venue finding and event management teams are growing due to new account wins and we are planning to invest in two new members of staff in the New Year." Carl Halliday, board director, said: "We’re pleased with our progress this year, particularly our activity in healthcare, where we grew our client base with a number of new pharmaceutical clients. We’ve strengthened our hold in the technology, finance and professional sectors, winning new business from Google and Shell. "Our recruitment drive continued with the appointment of senior roles into the business, most recently Nicola Eyles as global business director and David Sawyer as healthcare communications director. "Our Asia business has surpassed expectations and we’re making good progress in the US. Our strategy to grow within our key sectors has allowed us to specifically target critical new hires, from which we’re already seeing the benefits. 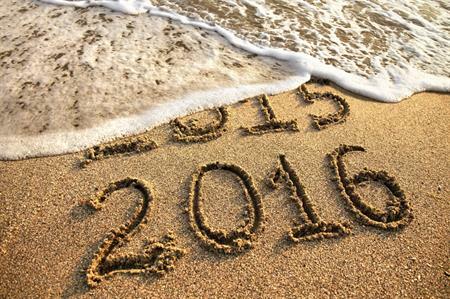 "Our aim for 2016 is to continue to develop and strengthen relationships with our clients. We’re anticipating growth in our key sectors and a strong year in the US." Lex Butler, creative director, said: "I can’t quite believe a year has passed already for Wolf & White, it is quite surreal. 12 months ago we were ambitious and positive but with ‘start-up agency’ nerves. Now, we are even more ambitious, extremely proud of who we are, what we have achieved and raring to go into 2016. "Our first year saw us secure just over a million pounds in turnover, winning clients such as GHD Italy, Tangle Teezer, Invisibobble, Redken USA, L’Oréal UK and GQ Magazine. 2016 is already proving to be successful with 17 events confirmed to date, of which 13 are global deliveries, as far afield as Japan, Hong Kong and Orlando. Our key focus for 2016 will be recruiting the right people to allow Marc and I to grow the business further and secure at least a 30% increase." Marc Lewis, technical director, added: "I am thrilled with the success of Wolf & White in its first year. We have stuck to our original aim to work exclusively within the luxury retail, hair, fashion and beauty sector and have won some great projects. Our clients and their needs have been really varied, which has meant that we have had to adapt and stay fluid, but perhaps the biggest surprise was the geographic nature of our business, 90% of which has been outside the UK, and 30% of that outside of Europe." Business director Elliott Grant described 2015 as a 'year of solid growth' after a series of client wins. "The team has grown in all areas of the business, with new hires in ops, business development and communications as the scope of our output increases. Winning the Incentive Programme of the Year at the C&IT Awards was a highlight for us – to get acknowledged by our peers as the best in the business was a great reward for all the efforts the team put in and something we’re very proud of. Looking ahead, the agency plans to expand its reach in the automotive industry, as well as continuing to grow its share of several other sectors. "We’ll also be boosting our international conference and press trip portfolios as both are growing sectors for us," he added. Coming next week: our agencies to watch in 2016!